If you want some privacy when taking a phone call at home or work, you’ll most likely go to an empty room or another space where no one can overhear your conversation. But what do you do if you want privacy online, so that no one, including your Internet Service Provider (ISP), can track your Internet activity? You connect your computer to a Virtual Private Network (VPN). VPNs are a growing option for people around the world who want to make their online activity invisible to their ISP as well as others who may try to access this data. Once considered a niche product, VPNs can also provide access to content that may be geographically restricted or block. Trust.Zone is one of many VPN service providers available for those who want to protect their online privacy. We’ll take a look at its products, how they work, the cost of such service and other details. Trust.Zone operates out of the Seychelles, an archipelago of 115 islands off East Africa in the Indian Ocean. The location was apparently chosen because the Seychelles has no mandatory data retention law, Equally notable is that Trust.Zone doesn’t store any logs from its VPN service. Taken together, that means the country doesn’t require Trust.Zone to keep VPN data and the company doesn’t do so, anyway. 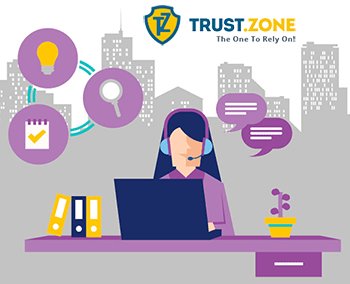 Trust.Zone began operation in 2015 and has made a name for itself because of its user anonymity, data security and robust online privacy. While Trust.Zone doesn’t have an “About Us” section on its website, you can learn more about the company’s advocacy by reading its Blog page, where it shares its latest news, events and special offers. A Sept. 22, 2017, blog post discusses how you can get low rates on Skype using a VPN. The blog goes into detail on how to do so. A Sept. 12, 2017, blog post touts how Trust.Zone made it to the top five list of beat cheap VPN services ranked by BestVPN.com. Trust.Zone provides VPN service by creating a secure and encrypted tunnel online through which a user’s data is being sent and received. The VPN hides the user’s original Internet Protocol (IP) address and replaces it with an IP address of the VPN server, making the user’s activities anonymous. Trust.Zone’s VPN services are compatible with Windows, Mac, iOS, Android and Linux. It is also compatible with gaming consoles, DDWRT routers and smart TVs. It even works on the Amazon Fire Stick and on PlayStation consoles. Users can get started by entering an email address to register or sign in. First-time users will be sent an email with an activation code that is active for 24 hours before it expires. Once you activate your account, you’ll be taken to the setup page to begin. The four-step process asks you to select your operating system, type of protocol, VPN Zone and to follow additional instructions. 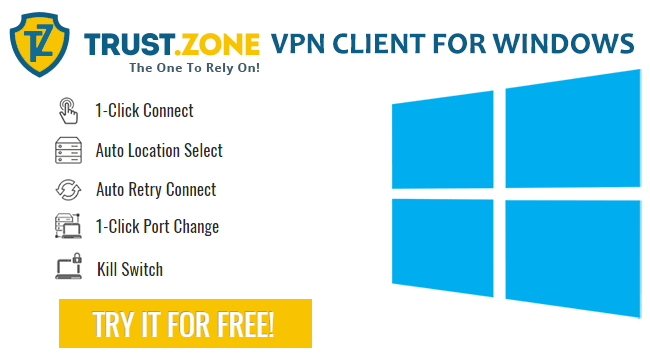 Trust.Zone VPN offers a well-designed application for Windows that includes a simple user interface, one-click connectivity, an Internet kill switch, easy subscription renewal and a status window to monitor your speed and usage. 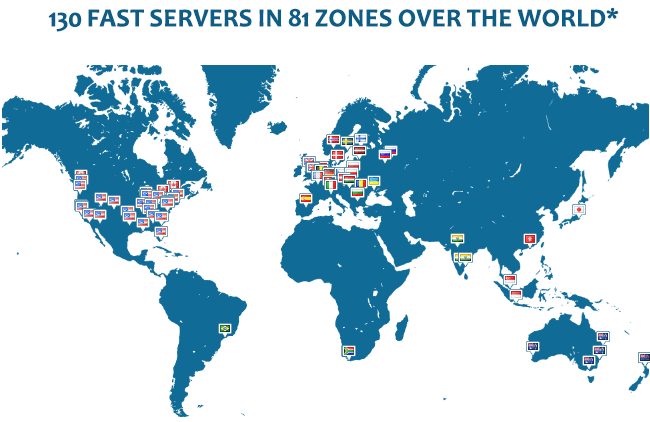 Trust.Zone’s 131 servers are separated into 80 zones all over the world, based on geography. This was done to provide you with better connection speed and stability. For example, if the server you’re on becomes unavailable for some reason, you’ll be connected to the fastest available servers in that zone, which are the closest to the user’s locations. The number of servers in each zone varies. The Europe zone has 29 servers, while the North America zone has 12. The U.S. has its own zone, which has 24 servers. Oceania zone has seven servers, while Africa and South America have one server. Asia has five. The company doesn’t have any bandwidth limits. Customers have access to unlimited data transfers and unlimited bandwidth. The company does note that its VPN will slow down your Internet connection because all of your data will have to flow through one more server and must be encrypted. Trust.Zone offers three types of payment plan and a free three-day trial offer. The free test allows users a maximum of 1GB of data transfer at 110 locations with unlimited bandwidth. Only one connection can be made. 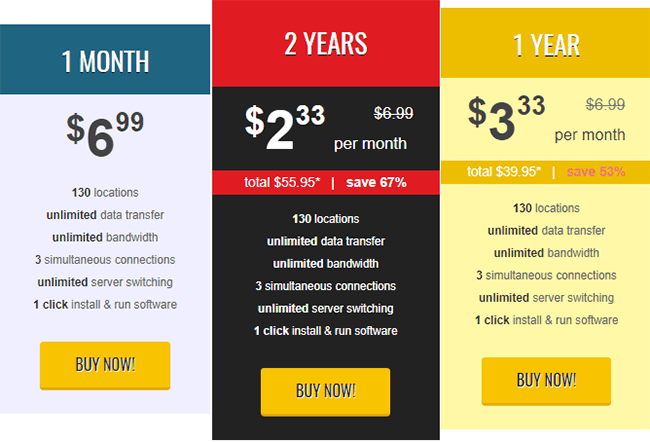 The monthly plan is $6.99 and offers access to 131 locations, unlimited data transfer and bandwidth, three simultaneous connections and unlimited server switching. Move up to the three-month plan for $4.95 per month, and you’ll save 30 percent. Users who subscribe to the one-year plan will pay just $3.33 per month, a savings of 53 percent. Taxes will be applied to purchases based on the country you are in. All plans include Trust.Zone’s one-click install to run its software. There is also a wide selection of VPN coupon codes that can be found online to further lower the cost. Payments are accepted via Visa, MasterCard, PayPal, QIWI Wallet, WebMoney, Bank Transfer, Alipay and Bitcoin. Trust.Zone offers a 10-day money back guarantee. Users can learn more via its refund policy, which states that if you’re not completely satisfied with Trust.Zone’s VPN services and you notify Trust.Zone in writing via email in the first ten days, you’ll receive 100 percent of your refund. (Requests made after ten days will be denied). A gold badge on Trust.Zone’s website takes users to vpnMentor.com, a leading VPN community website. VpnMentor has selected Trust.Zone as one of the top three VPNs for 2017. The review praises the company for not storing any logs on their servers or anywhere else. The review also appreciated the easy of getting starts. It takes just an e-mail address to get started, meaning there are no names, no personal information and no tracking of online activity. Another positive was that Trust.Zone doesn’t restrict any type of traffic, and it doesn’t throttle use. In 2016, Trust.Zone was featured as one of TorrentFreak’s best VPN providers in 2016. Users with questions about their VPN service are directed to a Frequently Asked Questions page where Trust.Zone’s most common questions are answered. The FAQ includes answers to technical questions, system requirements, error messages and more. There’s also an answer to whether it is legal to use a VPN (Yes, when used for legal purposes in countries that allow VPNs). If there are more specific questions, users can create a help ticket by filing out a form. Support is available from 6 a.m. to 4 p.m. GMT. Windows users who have any problems with the Trust.Zone VPN client can visit its Troubleshooting page for answers related to that operating system. Customers can also email questions to: contact@trust.zone. Emails will be answered as soon as possible. Multiple commission levels, up to 50 percent recurring commission and up to 100 percent with first invoice commission. Trust.Zone also provides contests and special prizes each month for its affiliates. Those who have partnered with the company praised its professionalism, marketing tools and payouts. “Affiliate support team at Trust.Zone Affiliate is unmatched! I have never had a problem with payouts. A great affiliate program, Trust.Zone Affiliate can bring success to everyone,” said Alexander, age 27. Trust.Zone is a young VPN company that has already made headlines in this fast-growing industry. 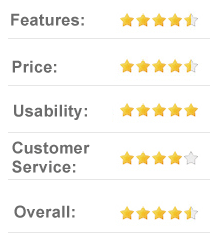 Reviewers appreciate the location of its servers and the compatibility of it with a range of devices and operating systems. They also praised Trust.Zone’s range of payment options and its free three-day trial period. Some areas of improvement include the lack of 24-hour live support for customers, as well as no apps for Mac, iOS and Android mobile devices. The most attractive aspect of Trust.Zone is its aggressive privacy policies and its commitment not to store any activity log files and connection times. In this day and age, with cybercrimes such as identity theft on the rise, it is good to know there are VPN providers such as Trust.Zone to help people stay anonymous in this ever-expanding digital world.